Personal Website Annie Simon is a New York-based Costume Designer for film and theater. Some of her recently released Feature films include Anesthesia, The Letter, Druid Peak, and Wildlike. A short she worked on, Before the Bomb, featured at the Cannes Film Festival. Annie has won The Kennedy Center Award for Outstanding Costume Design for the play, Bartholomew Fair, at Muhlenberg college. Annie received an MA from Muhlenberg College and BA from Tisch NYU. Personal Website Best known for her role as the ambitious Tiger Mom on ABC’s “What Would You Do?” Rachel Lu has appeared on stage, films and TV commercials after graduating from Columbia University. She was recently seen on stage in “Chinglish” as two hilarious translators at the Portland Center Stage in Oregon and at the Syracuse Stage in NY. Personal Website Darren Morze is a film and modern dance composer, music producer, and sound engineer. Darren composed music for the short films Curfew, which won the 2013 Academy Award (Oscar) for Best Short Narrative Film. In 2014, BEFORE I DISAPPEAR, a feature length version of the short film, premiered at SXSW and Venice Film Festival. It is being distributed by IFC for a US theatrical release. Darren is also an avid musician who has gone on tours with bands such as Jane’s Addiction and The Killers. Personal Website Paul Turner is a classically trained pianist and keyboard player, often fusing an eclectic mix of classical and contemporary into his own distinctive style. He has been commissioned to write and produce music for the World Cup, Champions League Final, Virgin Music awards, Sony and Nokia. Paul has also worked closely with renowned composer Ludovico Einaudi, producing and editing content for broadcast. Front Cover is his second collaboration with Ray Yeung. 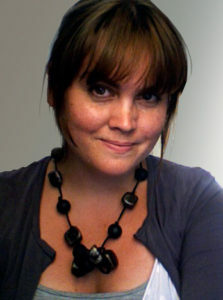 Personal Website Kate Rance is an award-winning Production Designer with a background in Scenic Design for theater. A graduate from St. Martins School of Arts in London, Kate’s films have been shown at festivals worldwide including twice at Cannes (nominated for the Palme D’or in 2012) and have also won their categories at festivals including SXSW and the LA Film Festival. Kate’s work on GO DOWN DEATH has recently won Best Art Direction at the Beloit Film Festival 2014.